The Aboriginal Peoples of Australia have been gazing skyward for thousands of years and have an in-depth knowledge of the skies above. For thousands of years, Aboriginal Australians have watched the skies above. This fascination with the stars and the night sky extends to almost all indigenous cultures throughout the world. This allure and connection to the stars above has been fundamental in reaching a greater understanding of the universe in which we reside. And this basic need to be able to comprehend the cosmos still drives the passions of modern astronomers to this very day. Aboriginal Australians did not use a written language; therefore knowledge of the night sky was passed on through oral narration; art and dance. This is contained within the wider framework of ‘The Dreaming’, which is seen as an ongoing process that contains explanations of how the sky and Earth were formed; humans and other animals came into existence; in addition to spiritual and cultural beliefs. Edwards (1988) writes: “this is thought of by Aboriginal people as the beginning of their existence, of their heritage and of their cultural life. The dark area is known as the Coalsack by astronomers, which are dense clouds of interstellar dust. The Coalsack forms the head of the emu and stretching to the left is its long dark neck. Its roundish body is next to Scorpius and its legs are towards the horizon. Images: Barnaby Noris. The Dreaming was the period in which dramatic events took place which shaped the environment, its inhabitants and their life. 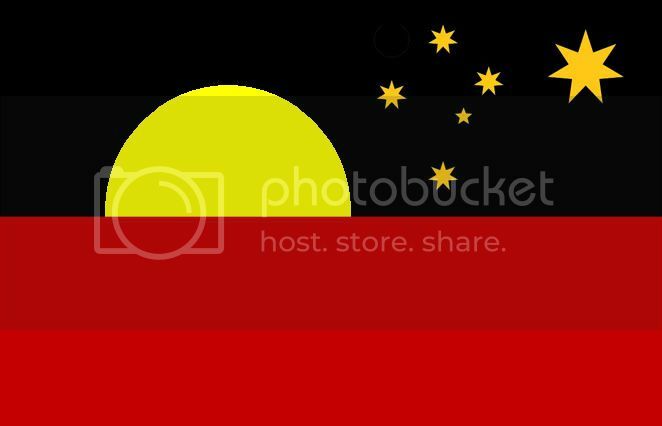 Aboriginal people trace their ancestry to the beings which participated in these events.” Thus many stories about the celestial dance of the stars above were passed down from generation to generation. Additionally, contact with early explorers, missionaries, pioneers and ethnographers resulted in some stories being recorded. Western Australia is our largest state with a total land area of 2,529,875 square kilometres. Moreover, to the north and west it is bounded by the Indian Ocean, and to the south the Great Australian Bight and Southern Ocean. On land it is bounded by the Northern Territory to the north-east and by South Australia to the south-east. Therefore, there are many Aboriginal Groups spread widely throughout, from coastal and tropical regions, to the arid interior. One of the first major efforts to map the locations of Aboriginal Groups within Australia was by the anthropologist Norman Tindale in 1974. However, between 1988 and 1994 researchers from the Australian Institute of Aboriginal and Torres Strait Islander Studies embarked on an intensive mapping exercise of Aboriginal language regions within Australia. As a result of this study, researchers identified 99-traditional language groups within five language regions in the state of Western Australia. Consequently, if there is language variation throughout Western Australia, there is also variation in the way the sky and celestial objects are seen by different groups. 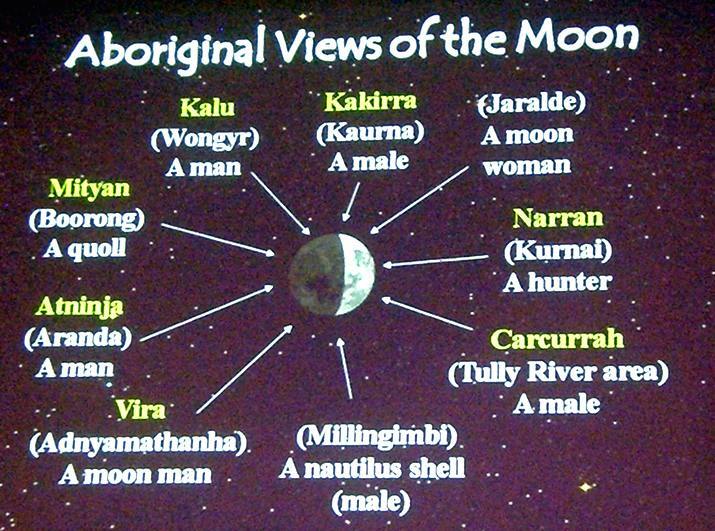 Moreover, there is variation within the ‘cosmogony’ of Aboriginal Groups and the way they believe the cosmos came into being and the natural world functions. One such group are the Noongar People (also spelt Nyungar, Nyoongar, Nyoongah) who live in the south-western corner of Western Australia, from Geraldton on the west coast to Esperance on the south coast. Also, the Noongar are made up of fourteen different language sub-groups. In the Noongar Dreaming, or Nyitting as it is known, the sky was once so close to the ground that trees and other tall plants could not grow. Therefore, the Noongar had to crawl when they moved around the country, and all the birds had to walk everywhere, instead of being able to fly around. The birds were tired of having to walk everywhere, so they decided to work together and they started gathering lots of sticks and branches. These clever birds would use the sticks to hold up the sky so they could fly about; but the sticks looked like they would break under the heavy strain. Nevertheless, the magpies were wise, so they placed some long sticks in their beaks and pushed it up until the sky eventually sprang up far above their heads, revealing the sun and in turn creating the first sunrise. Each dawn the ‘Koorlbardi’, or magpie, sings its beautiful song to remind the descendants of this world of its importance in the creation of the first sunrise. Without doubt the Southern Cross, or Crux, is one of the most recognisable constellations in the Southern Hemisphere. It is the smallest of the 88-constellations that were ratified by the International Astronomical Union in 1922. The Noongar believe the Southern Cross to be a group of women who once lived near the sea. In the Dreaming they speak of these women being camped near a forest some distance away from the local river. The Elders had realised that water was running low and therefore they sent four women to retrieve some water from the river in some bark cups. However, the Elders had warned them not to go near the sacred waterhole, which was forbidden to women. Nevertheless, the women became curious and ventured down to the sacred waterhole and filled their cups. Happy with their journey they then began to play around the waterhole. Consequently, the men wondered why the young women were taking so long and ventured out to search for them. The men arrived at the river and the women were nowhere to be seen. They then left and heard the chattering of the women coming from the vicinity of the sacred waterhole. Angered the men charged down after the women, which in turn ran out of fear when they saw the men coming. As the women ran as quick as they could a strong wind came along and swept them up into the sky. Clustered together in the sky – the angry men hurled their spears at them. In order not to be struck, the four women spread out into the familiar pattern that we now know as the Southern Cross. The women were so frightened that they dare not come back to Earth for fear of being speared and remain in the sky as the four brightest stars of the Southern Cross. Before this time it was believed that all stars lived in groups. In Dreaming stories of the Noongar, there once lived a giant woman known as the ‘Charrnock woman’, often described as a giant evil spirit. This woman travelled from camp fire to camp fire, collecting spirit children, known as koolongurs. Moreover, the ‘Charrnock woman’ had long white hair and was much taller than the highest Karri (Eucalyptus diversicolour) and Jarrah (Eucalyptus marginata) trees. This giant woman used her hair as a type of net in order to keep and accumulate the spirit children in. However, this was forbidden, and the spirit ancestors tried to stop this woman from what she was doing, but they were unable to get close enough to her. Therefore, they decided to change themselves into a flock of Koorlbardies (magpies) in order to get closer to her. They figured this way they could fly up and rescue the spirit children from her long white hair. Consequently, a great battle in the sky ensued, with many of the spirit children falling from the sky, and as they struck the Earth turning to stone. These stones are called Bwia-ee-Koolungur-Nyinna, basically meaning ‘the place where the young babies fell’. The ‘Charrnock woman’ eventually fled the Koorlbardies by leaping even higher from the top of Wave Rock, which is located some 300km south east of Perth. To this day, the misty band of the Milky Way is described as the long hair of the woman, with the stars being the spirit children caught up within her hair.